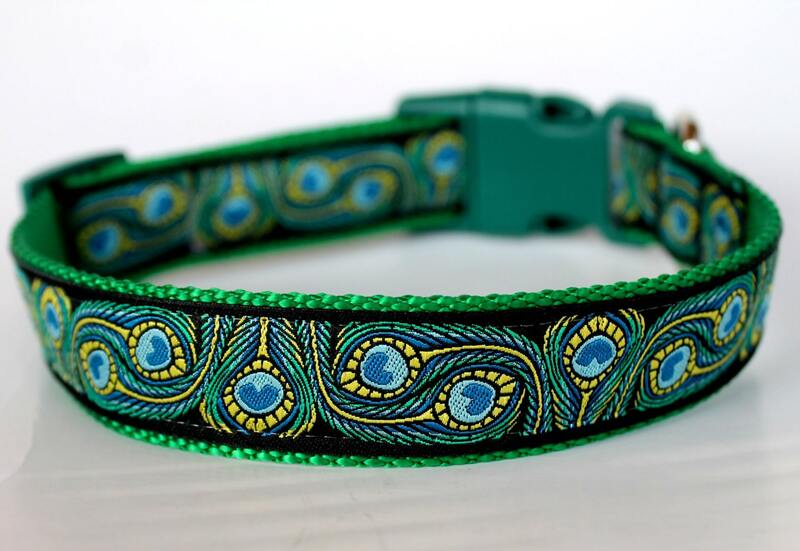 Peacock Feathers Dog Collar. 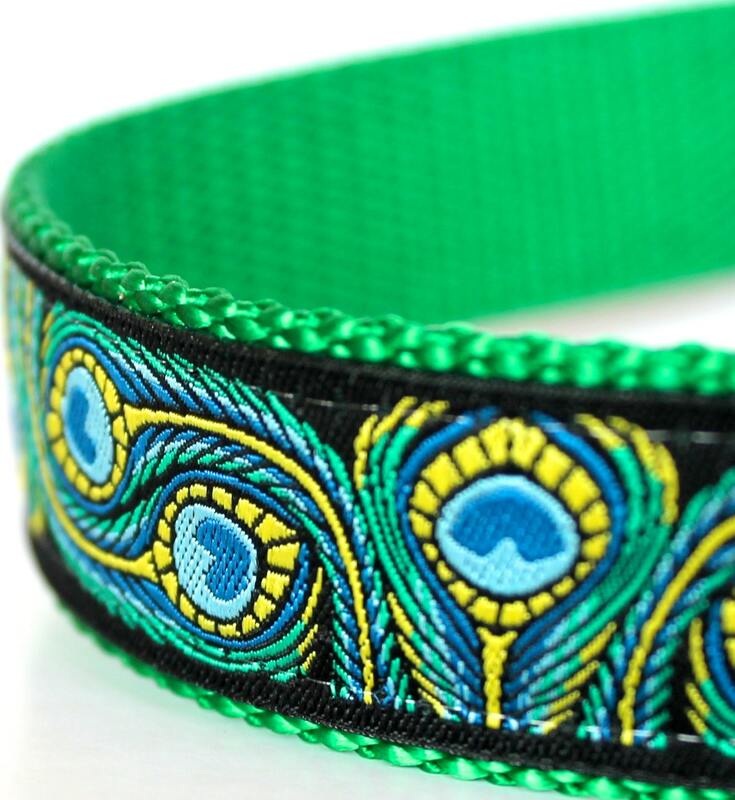 Beautiful ribbon with Peacock Feathers on a Black background. 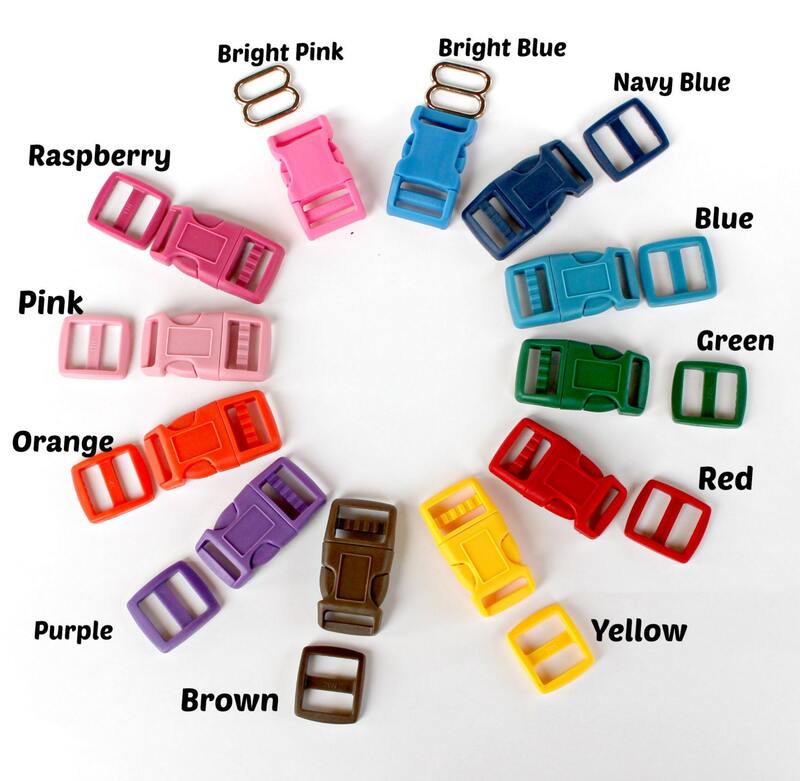 Placed on Kelly Green heavyweight webbing. *Production Time: Please see shop annoucements but usually runs 5 to 9 days. 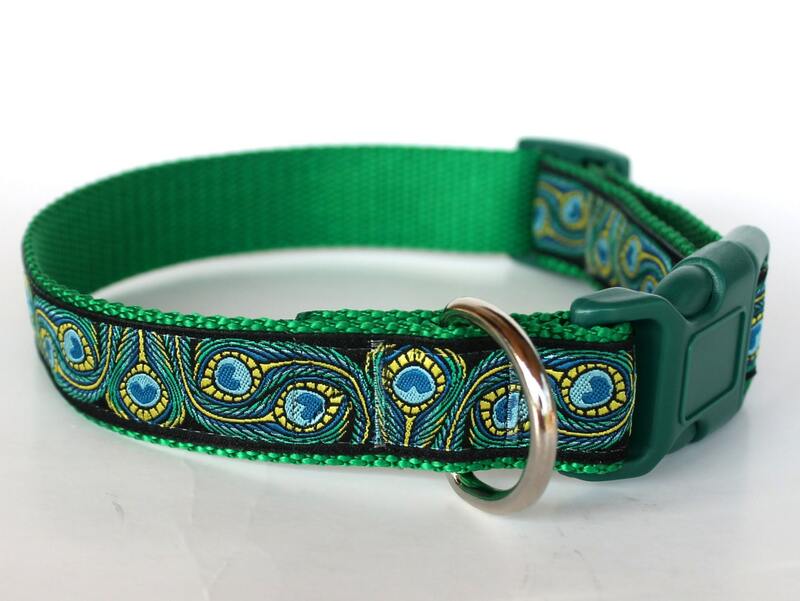 Beautiful collar, seems very well made. Can't wait to see it on my pooch. Vivid colors. I love it.